Piping Stress Analysis on 225 lines of Group Gathering Station using CAESAR II. A Dubai based major EPC contractor that specializes in the Energy, Industrial and Infrastructure sectors with a successful track record of executing projects in over 20 countries in the Middle East, Europe, Africa, India and South-East Asia. 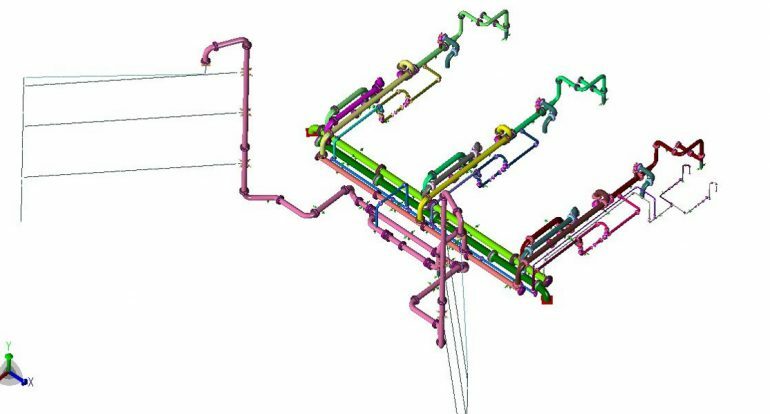 Piping Stress Analysis using CAESAR II on 35 systems (225 lines) of the Group Gathering station in a sequence of 2 phases for Above Ground & Under Ground piping systems and subsequently submit Stress Isometrics for final IFC (Issue for Construction).